World’s Marathons is the new digital standard for online registrations and marketing automation for endurance events, based out of Stockholm, Sweden. World's Marathons online registration system is available in 6 languages (English, French, Italian, Spanish, German and Mandarin). Digitally transforming and automating the way you manage registrations and marketing for your event. ully customizable registration forms with international and local payment options. Visa, Mastercard, Amex, PayPal and many more. Easily integrated into your own site. Manage all participant data in one place. Change tickets, add participants, manage refunds, race day check-in, last minute registrations and much more. Automated marketing integrated into our Online Registration System. See which channels convert. Visibility towards +1 million runners/month from +130 nationalities. Built to your needs. We constantly add and improve the wide feature set offered in our Online Registration System. Are you missing something in your current system? Tell us and we build it for you! Be part of the process and take advantage of the many features used by top industry players. Unique and SEO optimized event page visible to over 1 million runners / month. Automatic Google Adwords and Social Media campaigns together with distribution in our affiliates network. Promotional send outs to our runners community and automatic reminders to improve retention. Simple customizable checkout flow optimized for maximum conversion available in 9 languages and fully responsive and mobile friendly. Trusted international and local payments with Stripe, PayPal and more. Set up coupon codes and other deals to increase the number of participants. 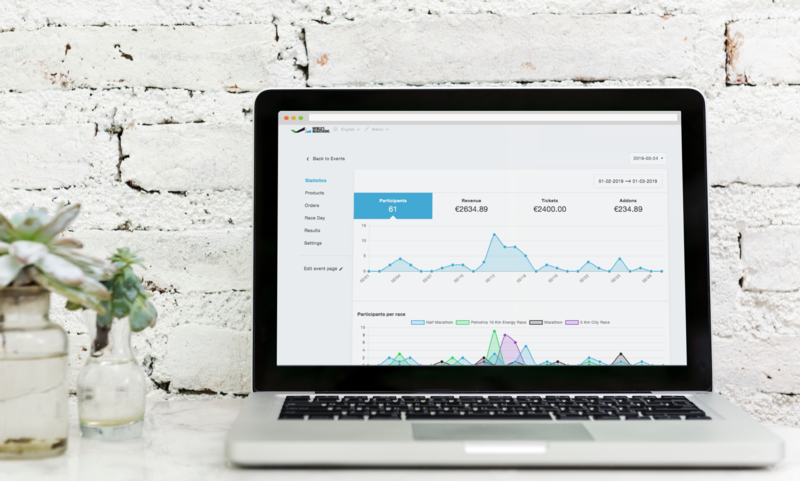 Keep track of revenue over time through our dashboards. Discover trends in user behaviour and be able to push for more sales at the right time. Easily change any participant information up until the race day. Manage all participant refunds with ease from one place. Check-in participants when they collect their BIB and keep track of your participants. Don't use excel lists! Register participants easily on the race day directly in our system. Runners can create and share their personal bucketlist which helps spread your event. Participants are automatically reminded to review and recommend your event. Runners will be rewarded for recommending your event. Check out some of our many events already using World's Marathons. Take part in the digitalisation of the endurance event industry and give your runners an enhanced digital experience.